The nicest rooftop bar I know! 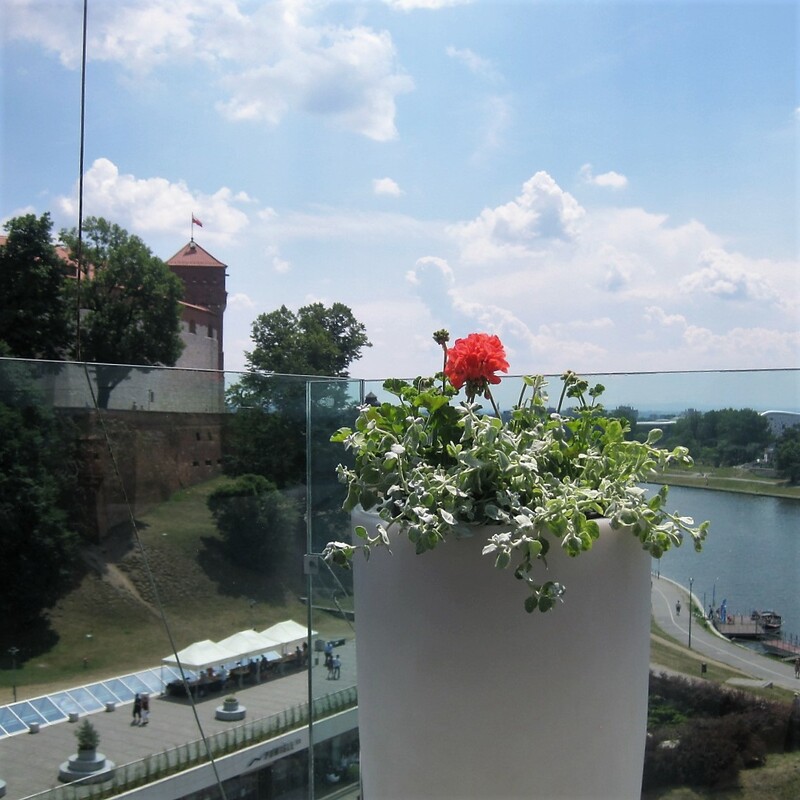 Last Saturday I was saying a fond farewell to Poland in the rooftop restaurant at Hotel Pod Wawelem, Kraków’. I can highly recommend it, both for the views and the hot apple szarltotka with icecream. You’ll have to wait for that photo and the accompanying walk because this is all about Becky’s Roof Squares. And, of course, to wish you happy Saturday in Six Words (or more). Apologies to both ladies for the links, as I’ve scheduled this post, while I’m enjoying the high life in Nottingham. My, what an exciting life you lead, from Warsaw to Nottingham (pity it couldn’t have been the Wirral – at least then we would have had alliteration)! And then no doubt you will shortly be off to Portugal again! I’ve been too long at home this year due to ill health, but I’ve just scheduled a visit to Switzerland to visit a friend in August and then I shall be off to Sicily in mid-September for a month. Meantime, your rooftop bar looks delightful and I’m glad you enjoyed the trip. Looks like a fabulous location Jo. You really do get around! Could while away the hours there, Jo! I like the splash of red from the geranium. 🙂 This looks like a great spot to chill and admire the view for a while.